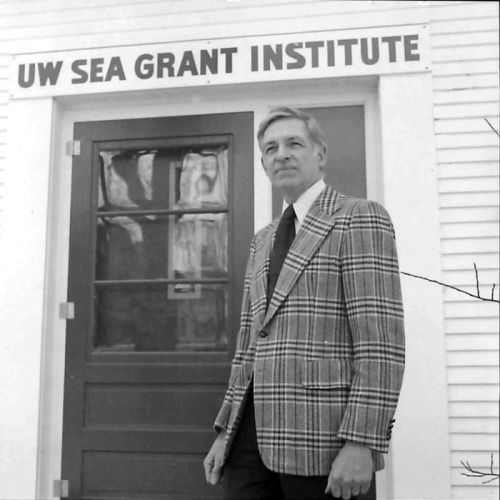 Fifty years ago in 1968, the Wisconsin Sea Grant Program was funded for formation at the University of Wisconsin. We didn’t actually start providing grant money for research projects for a few years. Because that’s one of our main purposes, we’ve chosen to wait a few more years before we start any 50th anniversary hoopla. Another reason we’re waiting … (and this might be way more information than you want, but I’m going to do it anyway) is that we weren’t designated as an official Sea Grant College Program until 1972. When Sea Grant programs are formed, they go through a series of four phases: a Sea Grant Project, a Sea Grant Coherent Area Program, a Sea Grant Institute, and then a Sea Grant College Program. Official program status is only awarded by the federal government if certain criteria are met, including demonstrating excellence in fields related to ocean, coastal and Great Lakes resources. Safe to say, it’s a big deal to finally reach college status. In the meantime, we’re working behind the scenes to gather information in preparation for the occasion of the 50th anniversary of our official designation as a Sea Grant College Program. (These things don’t just happen overnight!) As part of this effort, I had the chance to speak with Wisconsin Sea Grant’s first director, Robert Ragotzkie, 94, about his memories of the program’s formation and why he was interested in being part of it. Another thing I didn’t realize was that the early scope of the program was broader than it is now. “The program initially concentrated efforts and research on all five Great Lakes. We had a Great Lakes Program (at the university already) but it was not very well organized. This sort of pulled it all together. Michigan Sea Grant was also Great Lakes-wide and we had close cooperation with the University of Michigan Sea Grant Program,” he said. Bob also put in a plug for the UW-Madison Go Big Read book, “The Death and Life of the Great Lakes” by Dan Egan. Bob is still keeping track of who is conducting research in the Great Lakes. He knows the people even though he has been retired for 38 years. However, the main way he monitors the health of the ecosystem is via a much more concrete way. A worthy endeavor if ever I’ve heard one. 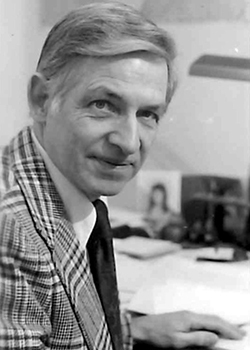 This entry was tagged Athelstan Spilhaus, Robert Ragotzkie. Bookmark the permalink.